I wanted to like this book, I really did. The cover art is gorgeous and that’s what drew me in. I was disappointed, however, that it took so long for anything to really happen in the story. It also took a long time before I started to connect to any of the characters because the book begins before they really exist as viewpoint characters. I think I would have preferred that the book start with them at an age where they can think and feel and leave everything before that to flashback or backstory. The ending also is not an ending. I realize this is a series. but I detest cliffhanger endings. It felt more like a chapter ending than a book. Even in cliffhanger endings like the end of “Empire Strikes Back” you have resolution–Luke Skywalker has been saved and his wounds have been healed, and Princess Leia is safe. There’s still the issue of saving Han Solo, but it’s a break in the action with plans being made for the next. If I were to compare this book’s ending, it would be ending right as Lando drove them away from the city. It’s missing that final closure scene. So for all the length to actually get anywhere, I’m not really enticed into buying the next book. It was an okay read with some interesting concepts, a very interesting world and a lot of politics and maneuvering, but it’s just not for me. Well, that was rather disappointing, frankly. Across six countries there were a total of 450 free downloads of my book Heart of the Witch. I haven’t seen any sales bump whatsoever, although I have received word from about four people on Goodreads that they would do reviews, so that’s nice. A few surprises–I did as well in Germany as I did in the UK (46 vs. 48 downloads for each). And I had 21 downloads in Japan, which was also more than I expected there. I spent a total of $15 for listings, appeared on seven websites, but none of the really big ones like PixelofInk, because I didn’t have enough reviews. This promotion in part was to garner some more reviews. If I do get four or more reviews, I will count it as a success there. The highest I hit was #1,375 overall in free downloads on Amazon.com and #18 in free epic fantasy. The highest in Germany was #400 overall in free downloads and #2 in YA Magic, Fantasy and Science Fiction. I also hit #2 in the same category in Japan. One other thing I learned in looking at my cover against other in the top twenty is that I need to muddle a little more with the lettering because you can’t read the title or author in the itty bitty thumbnail size. I’ve played with it and will be uploading new covers soon. So overall, a learning experience. I know others have spent more money to get on more websites, but I think I’ve just come to the conclusion that this book isn’t going to have a mass appeal and will remain a niche market item. Time to get focused on finishing my next project. Estimated to be completed in 10,000 words or less! Today is the last day of my three day giveaway of Heart of the Witch on Amazon–grab it while you can! Adventure, romance, magic and more! I’ll be sharing my numbers later–they’ve been lower than I’d hoped, but then I also don’t have a lot of money to spend on marketing. The funny thing is I’ve had more downloads in Germany than the UK. The book is currently #2 in it’s genre there, and #380 for over all free eBooks in English. I’m ready for a big nap this weekend. Well it’s day number two of my three day giveaway on Amazon for Heart of the Witch. The book is currently #18 in free epic fantasy, so that’s quite good. Grab it before it’s too late! Also, I have another friend offering her book for free today also. It’s a a coming of age tale for YA, I believe: Check it out! Today through Friday (4/17/13 to 4/19/13) you can get my debut fantasy novel Heart of the Witch Free at Amazon! I only plan on doing a few free days, so grab it while you can! 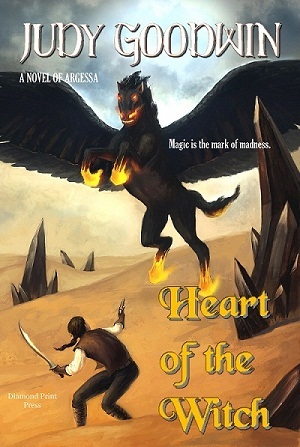 Well, I’m finally doing it–this week, from April 17 to 19, my epic fantasy novel Heart of the Witch will be available as an eBook for FREE at Amazon!! I’m probably only doing KDP Select once, so grab it while you can! Zerrick’s fears are closing in on him. A local girl has been accused of witchcraft. There are murmurs of a cursed illness in town. And Zerrick’s father, the town Reverend, has announced that he is leading a vendetta against magic and will burn them at the stake. The problem is, Zerrick is the witch. This is the start of what will be a monumental journey for Zerrick, to answer the question that most plagues him. His people, colonists in the land of Argessa, think that magic is evil, yet the native tribes use it as a tool for good. 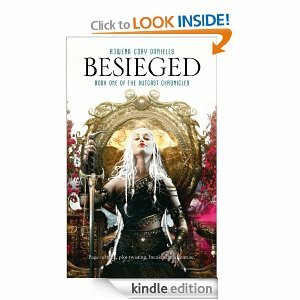 As he travels deep into the land, Zerrick must decide for himself if he is damned or blessed. A woman, an old scout, and a funny little creature will all help him face his worst nightmare, the Ravenger, a demon of unspeakable power. In the end, he’ll find the heart of magic. Enjoy! Also, I’d like to share a link to the Facebook page of another writer whose book is coming out shortly. If you enjoy Star Wars and other science fiction/space opera kinds of books, you’ll love her book, Homeworld. I particularly like her female characters. One you love to hate, and the other you just love. I don’t have much to say today–I’m recovering from a twenty-four hour bug and lamenting the lost hours where I wasn’t able to write. But apparently today is my one year anniversary here on WordPress. I think that deserves a little celebration. One year ago today, I was just learning about eBooks and self/indie publishing. It’s been quite a year, with five short story collections published as well as my first novel. I have a second novel with about a chapter or two to go, more short stories in the works, as well as things under another name that I can’t really talk about here. I’ve learned how to create covers (although I’m still learning), learned how to format a print book (that was quite an experience) and met a ton of great people. I don’t care what people like Scott Turow say about the “EVOL” Amazon and eBook revolution. This is perhaps the most exciting time for writing that I have ever seen. I look forward to seeing what the next year will reveal. Last, I’d like to share a link to one of my favorite blogs by Kristine Kathryn Rusch. She has some words of hope and wisdom for other writers out there.